And the winner is… D. Lopez from New York! Missed out on the most hyped collaboration of all time? Don’t sweat it. 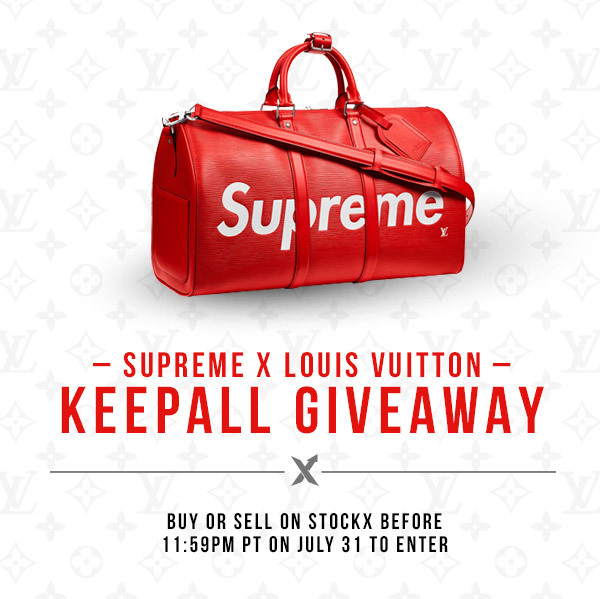 Now you can get your hands on one of the most sought after pieces from the Louis Vuitton Supreme collection simply by Buying or Selling on StockX. Which means you’re just a hint of luck away from Instagram fame. Make a sale or purchase between July 28th at 8AM PST and at 11:59PM PST July 31st to enter. Every sneaker, watch, and bag purchase or sale earns an entry.